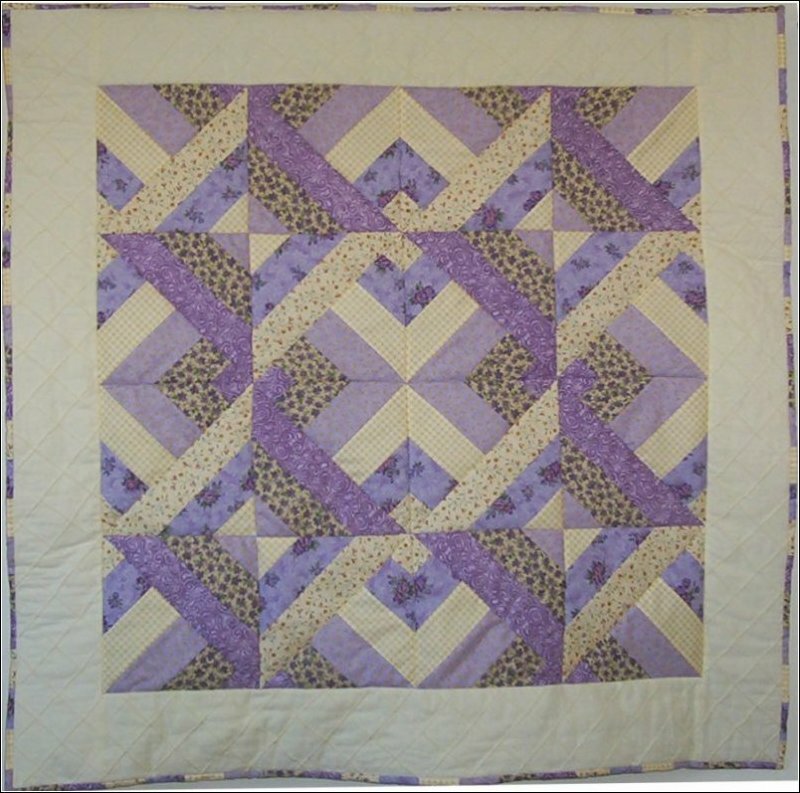 This sweet quilt is so quick to piece that you'll be Breathing a Sigh of Relief as you complete it! 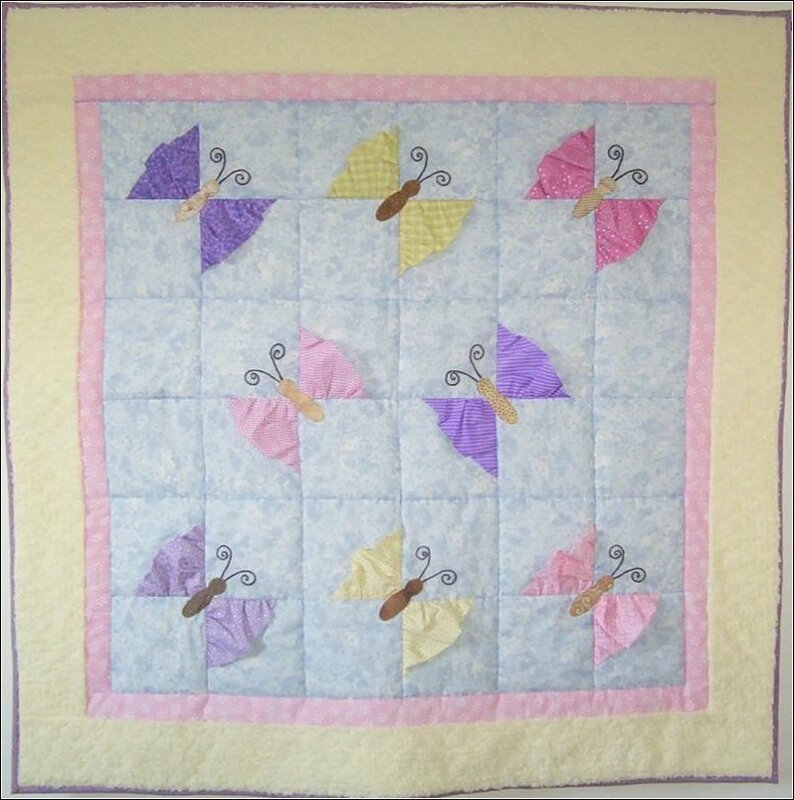 A soft and cuddly butterfly quilt filled with three-dimensional butterflies. 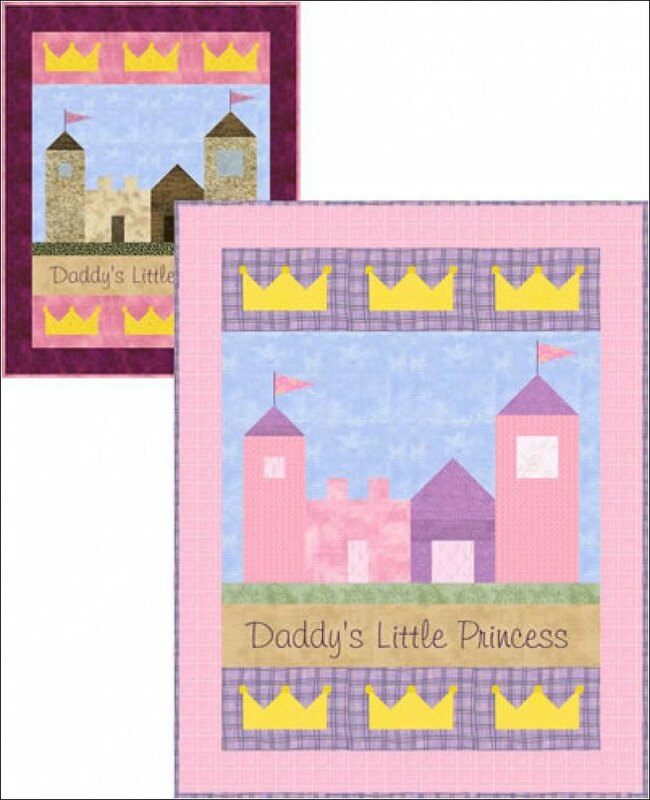 This cute and whimsical castle-themed quilt is quickly pieced using squares and half-square triangles. These darling rows of flowers are so easy to grow...no green thumb required! 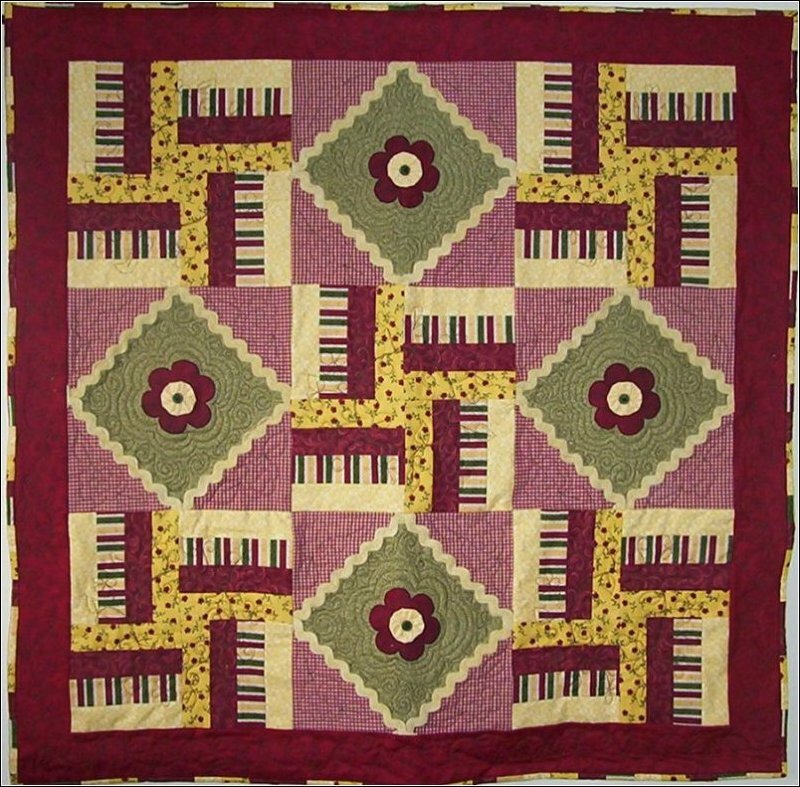 Even though this fun quilt looks complicated, it is made entirely of squares and half-square triangles. 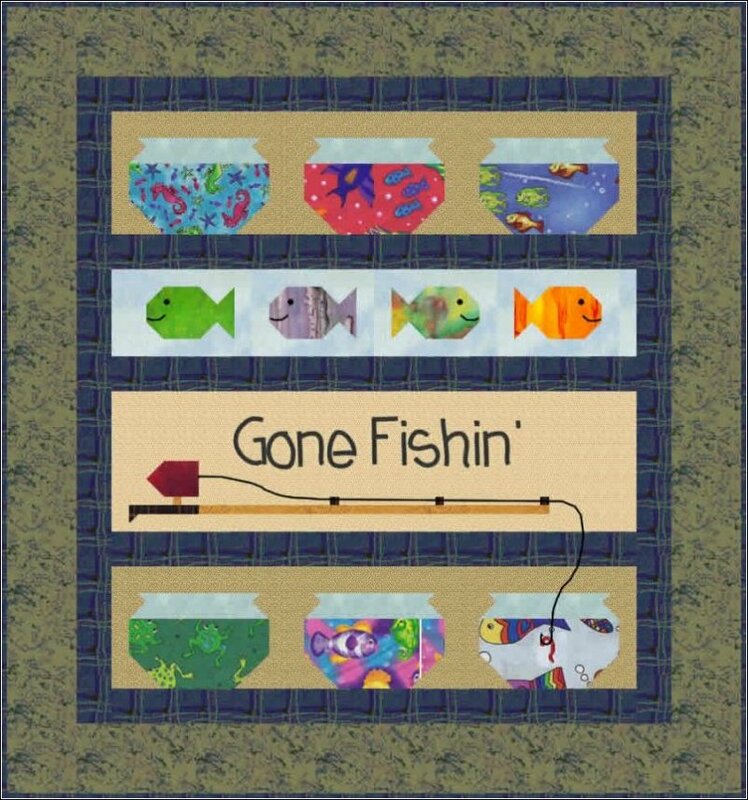 This fun quilt comes complete with 6 fish bowls, a trusty fishing pole, and a baited hook. Any little fisherman is sure to come home happy after he's gone fishin' ! 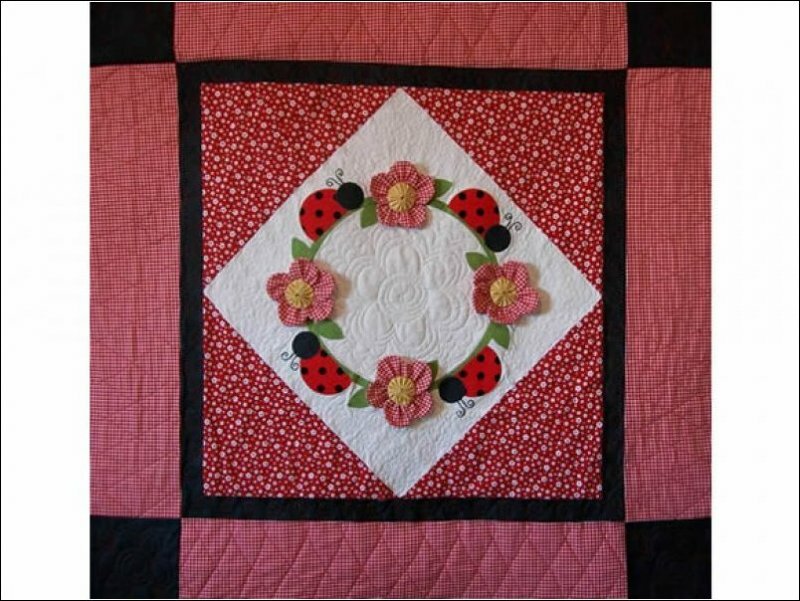 This fun baby quilt pattern is filled with cute lady bugs and dimensional flowers. The finished quilt size is approximately 39" x 39"...the perfect size to cuddle with! This pattern will be emailed as a PDF file. This fun table runner is a snap to put together, and will add a bit of Summer to your kitchen table. 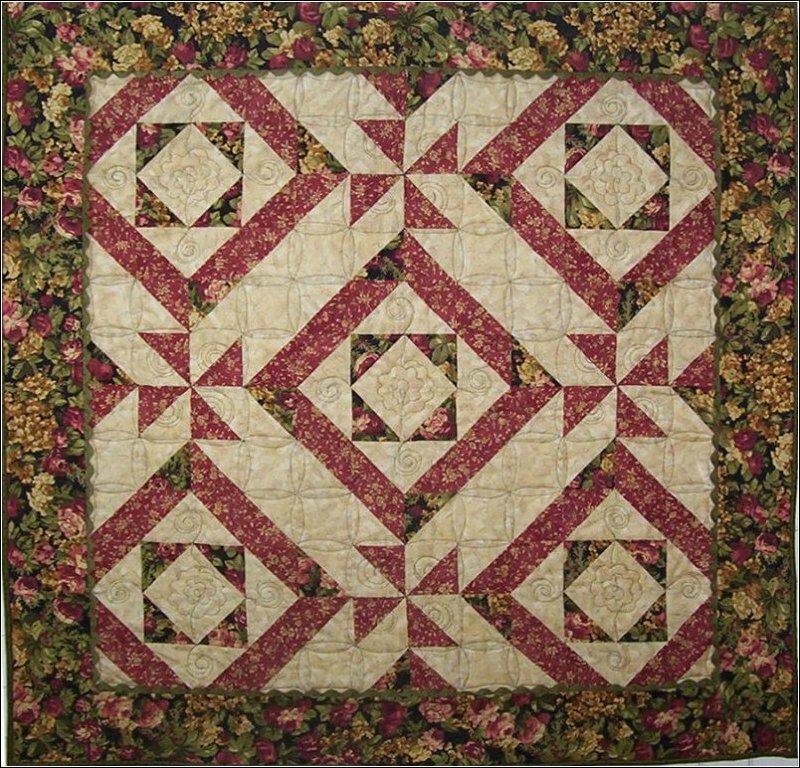 An easily pieced table runner that will add beauty to your home, and joy to your table! 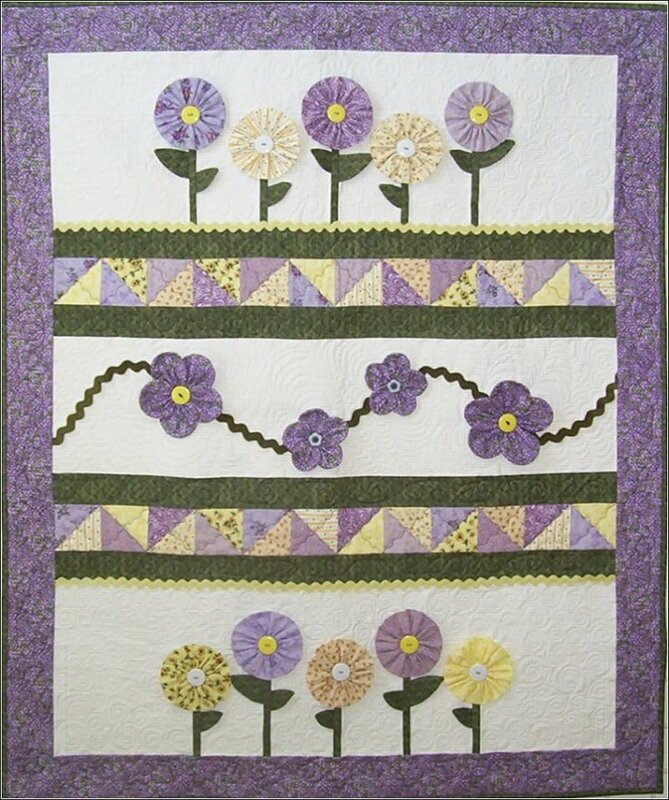 This darling quilt is made very quickly and easily using strip piecing techniques. 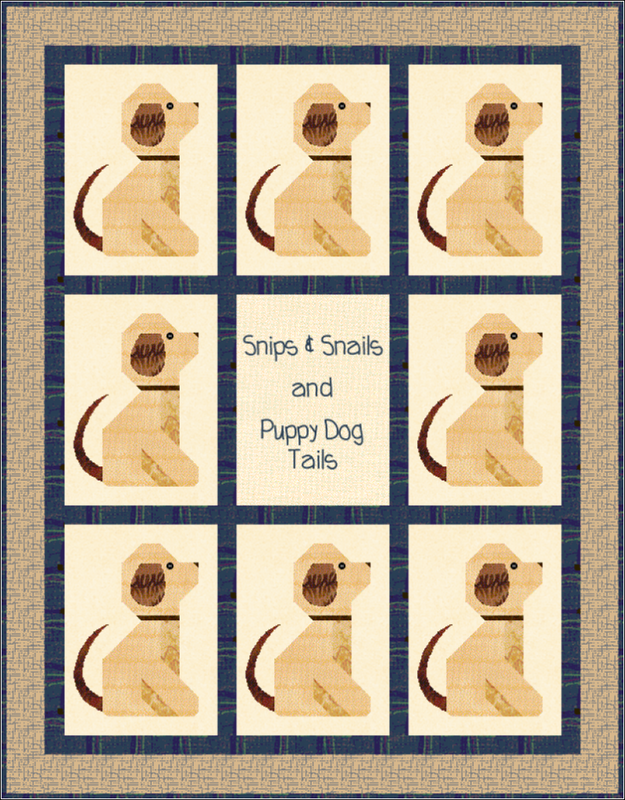 This adorable puppy dog quilt is pieced using simple squares and half-square triangles. 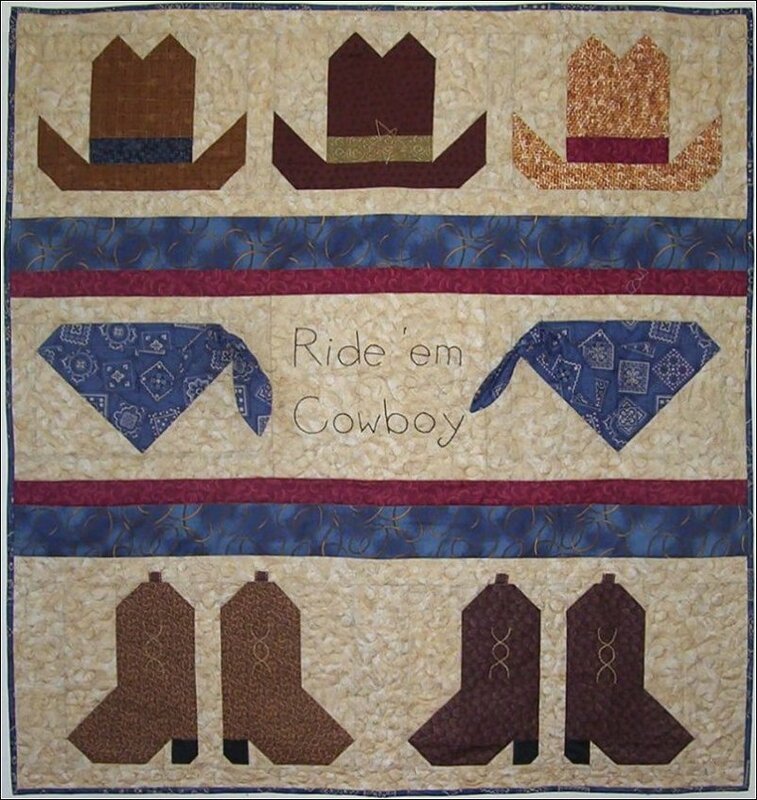 Your little cowboy is going to love being "lassoed" tightly inside this cute western-themed quilt! 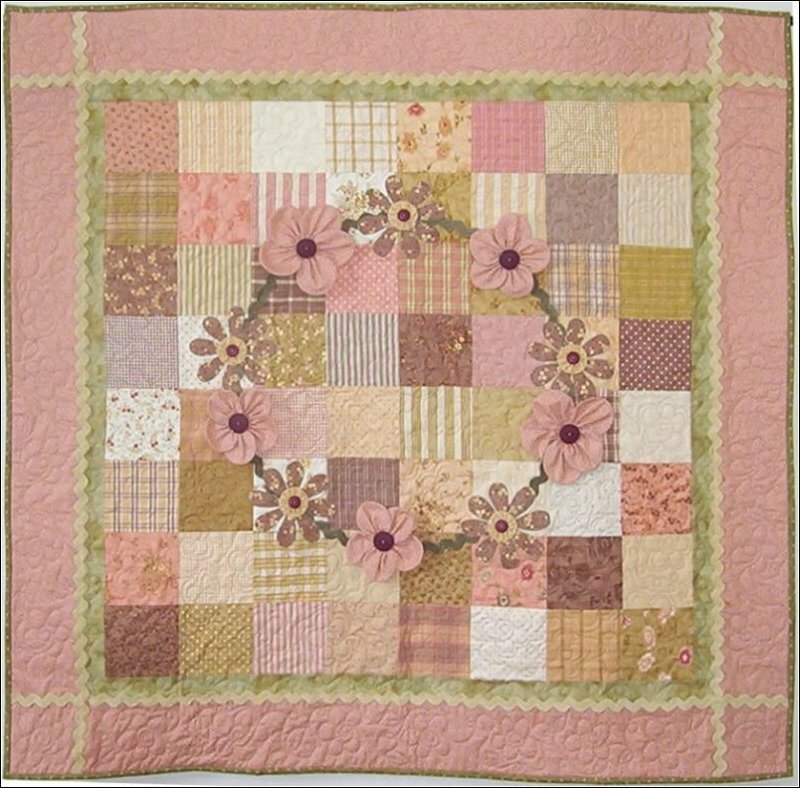 This sweet quilt is a snap to make, using either scraps or pre-cut 5-inch squares of your favorite fabrics. This cute and easy Table Runner is pieced using simple squares and half-square triangles. 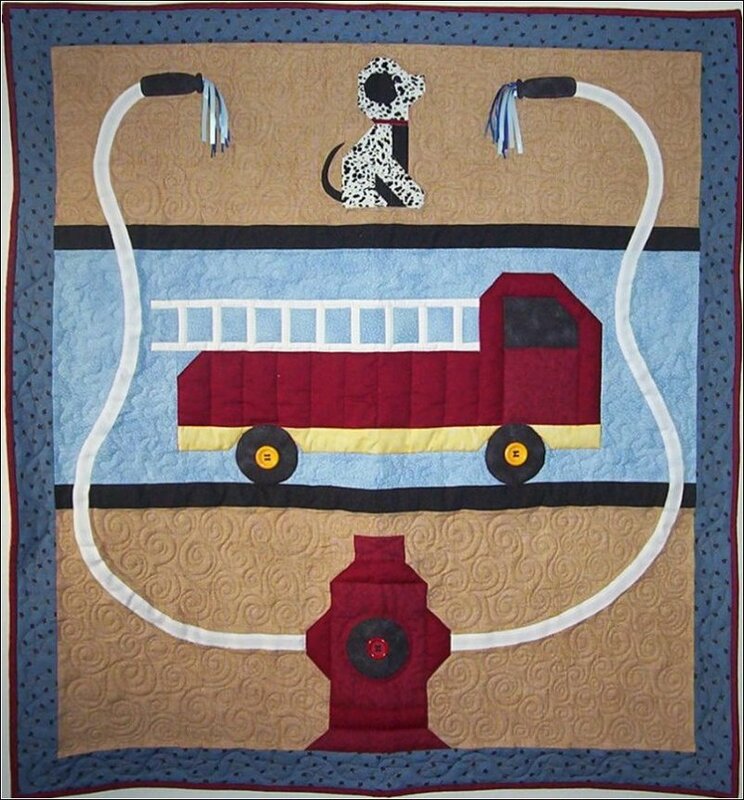 This adorable quilt is the perfect companion for your future fireman!